Anglers and Fisherman! 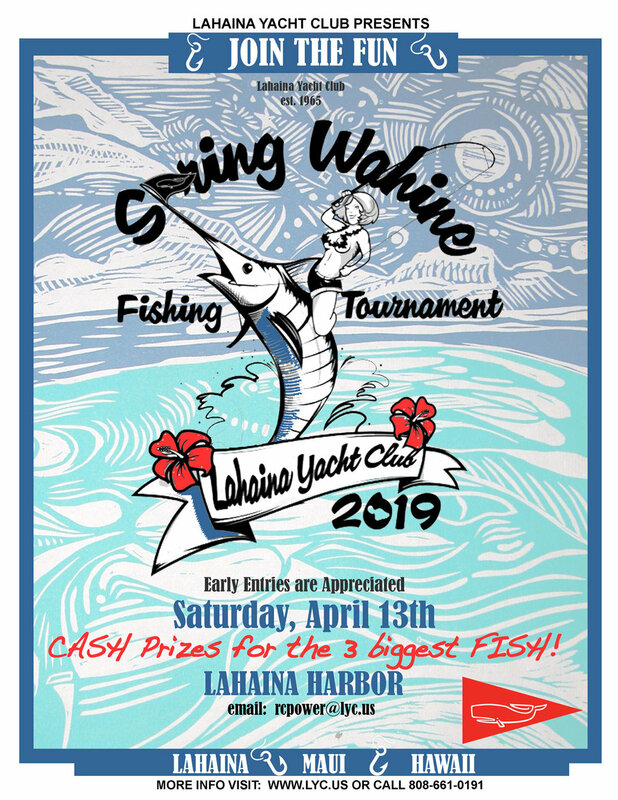 The time has come to get your registration in for our Annual Spring Wahine Fishing Tournament. The date is Saturday, April 13th, 2019. All details, rules and registration forms can be found ABOVE, just click on the link provided. Don’t miss out on the Early Bird Registration special! We want to make this one of the best Spring Wahine Tournaments ever. Every year we have Anglers looking for boats and boats for looking for Anglers. So this year we are creating a sign-up sheet to capture both and try to match Boats and Anglers together. We will be putting a signup sheet in the club so you can put your information down. You can also email rcpower@lyc.us. Anglers, please include full name, phone number and email address. Boat Captains, include your name, name of boat and how much you will be charging for the charter. As people start signing up we will be contacting them personally to get the boats filled up. Let’s break some records. More boats, more money in the pot.